What can we find in common with each other, despite having totally different cultural backgrounds? Weaving Cultural Identities at the Museum of Vancouver worked to answer this question by bringing together a variety of artists using the medium of weaving. The exhibition was held in a corner of the Museum of Vancouver, whose quiet atmosphere created the feeling that the weavings were going to tell their stories themselves. During the exhibit, I was impressed by the effort made by artists to learn and understand each other — this was a crucial factor throughout this entire project. Textile artist Dawn Livera and Adrienne Neufeld, her teenage daughter, collaborated with graphic artist Doaa Jamal for Find What You Need. The idea behind the piece was that similar shapes could convey different messages depending on the viewers' different cultural backgrounds. “Depending on who you are, you will find different meaning,” said Livera. The piece was particularly unique due to the artists’ weaving together of different threads which were collected from all over the world. They used these threads to express the connections between people from different countries. Whose Needle (Can) Will Re-stitch the Earth to the Sky?, created by textile artist Shamina Senaratne and graphic artist Sholeh Mahlouji, used nettle as a medium to express cultural heritage. While nettle evokes a painful connotation in Iran where Mahlouji is from, it is also a plant used for medicinal purposes. Senaratne, who has lived in Vancouver for decades, often uses the native plant in her work. The two artists used nettle to represent the journey of “regeneration” by people from different backgrounds coming to a new place. 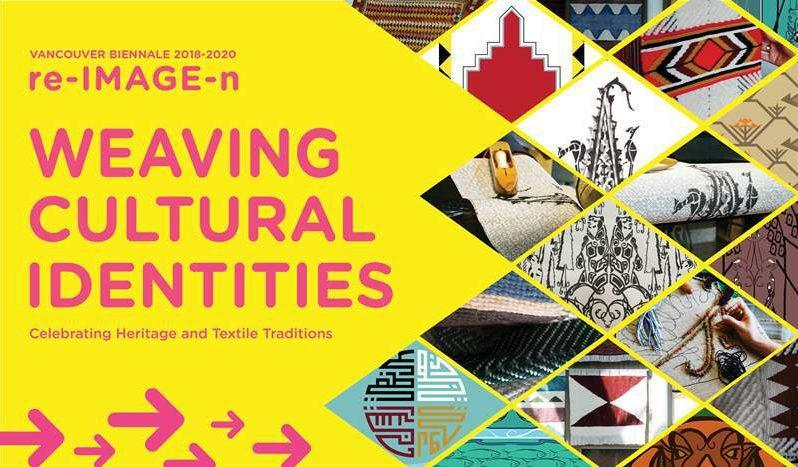 Weaving Cultural Identities put forth a tangible way of celebrating cultural understanding. The exhibit showed that an attitude of learning and collaboration with each other is crucial for people who live within a place of great cultural diversity, and Vancouver is a place that embodies exactly that.